A blackhead (also referred to as an open comedone) is an opening of the hair follicle with a blackened mass of oxidised oil covering the opening containing skin debris, oil and bacteria. Blackheads can plug your hair follicles, leading to congestion and acne. Sebum/oil is a normal part of human skin and is designed to lubricate skin and hair. In normal adults the oil drains out of the pore opening on the surface. If sebum is overproduced, the pore becomes blocked and acne bacteria begin to overgrow. When excess bacteria and sebum builds up in the pore and has no opening to the surface of the skin it is called a whitehead. However, if the pore opens to the surface allowing air to enter, a blackhead forms. The ‘black’ tone is because normal sebum contains melanin. This dark yellowish/brown pigment is in fact the same natural skin chemical that gives skin different colour tones. Melanin turns dark (oxidizes) if exposed to the open air. Blackheads are a result of dirty skin Incorrect. The dark colour of blackheads does not mean the skin is unclean. It is the oxidised pigment (melanin) in the oil that is exposed to air. It is advised to not over clean the skin as this can lead to irritation and worsen the condition. Furthermore its important to not choose an aggressive and strong cleanser. Cleansing twice daily morning and night is ideal, with a Sodium Laural Sulphate free foaming cleanser. The best way to treat blackheads is with regular home scrubs and pore strips Incorrect. Regular and harsh scrubs may irritate the skin. This inflammation can increase oil production and make the problem worse. It is wise to use a scrub once or twice a week. Choose scrubs with high grade cosmeceutical ingredients rather than rough grain and nut husks. Scrubs will remove the surface oxidised melanin on top of the blackhead but will not treat the underlying cause of the blackhead. This is why scrubs and pore strips only remove blackheads for a couple of days. Blackheads only affect people with oily skin Incorrect. Blackheads can also affect older individuals with dry skin. 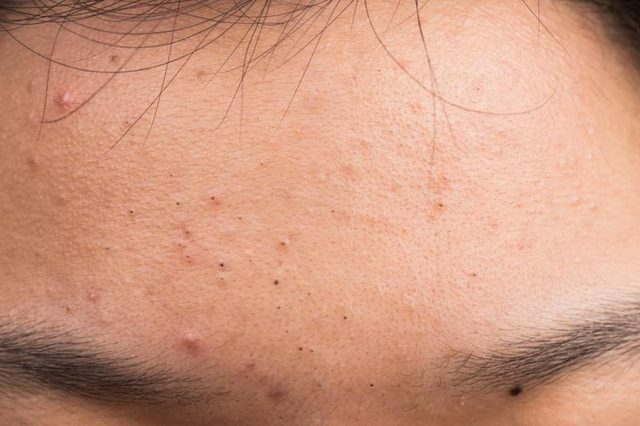 Although the blackheads may not be as pronounced in older skin, enlarged pores and poor oil flow can also lead to the occurrence of small blackheads in the T-Zone. Our Dermal Clincians specialise in the treatment of problematic skin. In fact, blackheads, enlarged pores and acne are some of the most common skin concerns we see at our Melbourne clinic. Using our wealth of knowledge and experience, we can devise a personalised treatment plan to help you achieve a clear complexion. Call us on (03) 9521 5533 to speak to a Dermal Clinician today.